Voice Portraits Versus Video Portraits? My name is Peter Sibbald and I want to tell you a story. From my earliest memories, I’ve always loved them, riveting and rapturous, from the animated whispers by my Mom or Dad at bedtime to the lyric of Harry Chapin ballads and the tomes of Dickens, Twain, and Shakespeare and Homer: great stories. And then there was my Nannie. My Nannie was a natural born storyteller. Most of the time, she lived in pain. Yet when she got talking about some of the local characters, or something that had happened during her 50 years as the chatelaine of her big old Upper Canada estate home, The Briars, her eyes would twinkle. For Nannie, pain relief was a steaming teapot, a plate of cookies, and an audience. One day, late in the summer of 1988, I woke up to the realization that Nannie had just been checked into the hospital for her umpteenth cancer operation. The proverbial writing was on the wall. But with all the time I’d been spending on the road doing photo assignments for major magazines… just when was it that I had last seen her, anyway? Ages…Panic! Suddenly, I KNEW I NEEDED to capture some of her stories? I beetled off to York County Hospital in Newmarket with my tape recorder and my new girlfriend, Nancy. I wanted to see if, while recording our conversation, I could still help Nannie find some of that old twinkle. That piece is a little rough, from the days before I had professional equipment. However, I’ve managed to filter out most of the ventilation fans, banging meal trays and long pauses for her sunshine to sparkle through. 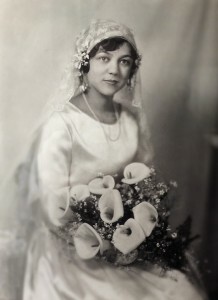 Here’s a few minutes of my grandmother, Marjorie Sibbald, not long before she died. All these years later, I realize that it was then, in that place of my Nannie’s imminent demise, that the seed for Legacy Productions Canada was planted. At Legacy Productions, my goal is to deploy my multimedia skills toward helping people tell their stories and the stories of others. Beginning as a photojournalist, and then diverging both into a documentary practice as well as editorial, corporate and commercial applications of photography, for over three decades I have worked around the globe for such clients as Canadian Geographic, Citibank, Fortune, The Globe and Mail Report on Business, Magna, The Office of the Governor General of Canada, and Time. You can find more about my photography here. 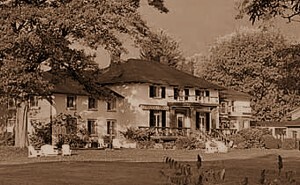 Raised in the milieu of a family business, The Briars Resort—steeped as it is in nearly two centuries of early Canadian history—I have not only the story-telling expertise, but a deep passion for the importance of family history and its ongoing role in raising successive generations with unique family values. Once you have subscribed here, for step 2, please check your email in-box for a confirmation email where you can complete verification of the process with a single click. 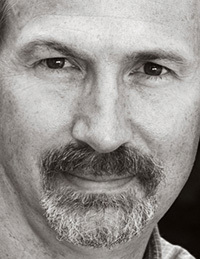 Protected: Securing Your Online Legacy- To Be Browsed Or Not To Be Browsed? Welcome to Legacy Productions Canada: Blog Coming Soon! If you would like me to be able to stay in touch with you, it takes only a moment to subscribe. Excellent! Thank you.... Almost done. Please check your Email In-box for a Confirmation message. Please Remember: You will need to activate the CONFIRM button in the confirmation email to complete your registration.